Here’s three of our favourite new Dubai brunches to launch this summer. 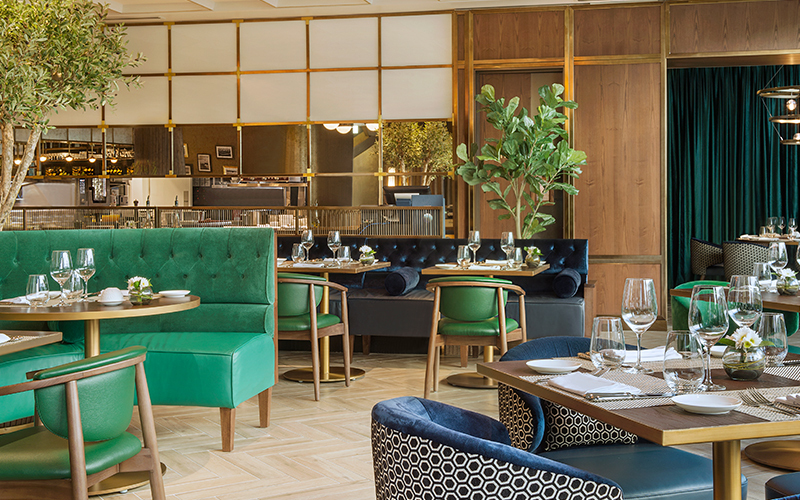 Galvin Dubai, the newly-opened restaurant and bar from Michelin-starred chef brothers Chris and Jeff Galvin, has brought back its refreshed culinary experience in the form of a carefully crafted 4-course Mediterranean brunch menu. Taking place every Friday from 12pm to 4pm, brunch at Galvin Dubai is a seated affair with dishes served to the table. Enjoy dishes like pressed chicken terrine with sauce gribiche, burrata with Sicilian caponata and sourdough, or braised lamb shoulder served with a topping of harissa pomme puree and broccolini. Seafood lovers will especially like the sea bass carpaccio and a selection of fritto misto, fried oyster, baby calamari, soft shell crab – plus more. Brunch is priced at AED 325 with soft beverages and AED 450 with premium beverages. Brunch happy hour follows in the bar from 6pm to 8pm with 50% off selected beverages. Details: for more information, visit Galvin Dubai. Lily’s House Brunch is the new family-friendly brunch at Lapita, launching on July 6 until September 28, from 1pm to 4pm each week. Signature live stations include dim sum, spring rolls, khow suey and hand pulled noodles with your choice of toppings plus Malaysian man tao pockets, Indonesian satays, curries and pad Thai options. The dessert corner is a treat in itself with traditional Pan-Asian dishes with a Hikina twist. Think hot steamed sweet buns, a green tea chocolate fountain and a live fried banana station. The brunch is priced at AED 149 with soft drinks, AED 249 with house beverages, and AED 75 for children between 4 and 12 years old. Children below 4 years are free of charge. If you love pizza and you love prosecco, head to Via Veneto’s newly launched Thursday and Friday evening brunch from 7pm – 10pm. Priced at AED 149 for ladies and AED 199 for men, enjoy a relaxed Italian atmosphere with an unlimited supply of pizza and Italian bubbly. Three options to choose from include the ‘fiery pizza’, a spicy option with tomato sauce and a selection of mixed chillies. Next there’s the ‘cacio e pepe pizza’, a pizza topped with a base layer of ice cubes to make the base wet and soggy to stick the Pecorino cheese on the top. Ending on a sweet note, enjoy the ‘flaming tiramisu pizza’ with Mascarpone cheese, Nutella chocolate, and espresso coffee powder. Details: for more information visit Via Venteto. If you liked this story, you may like this story about this new Asian brunch in Dubai.